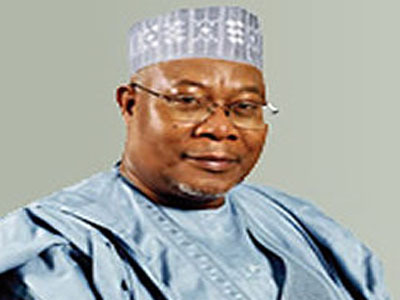 JAIZ Bank Plc has entered the profit making territory and has declared a N158 million profit since commencing operation in 2012, the Bank’s 2014 financial result has unfolded. Jaiz Bank is the first and only fully fledged licensed non – interest bank in Nigeria set up to carry out operations in line with the principles of Islamic banking. Addressing shareholders at the Bank’s third Annual General Meeting which held in Abuja on Wednesday, it’s chairman, Alh Umaru Abdul Mutallab explained that the bank was able to achieve the feat through investment in both human and technology resources. He also disclosed that the bank has grown its total assets by 24 per cent in the 2014 business year from N33.9bn in 2013 to N42bn. the bank was able to make profit despite the fact that there is no platform yet for it to make income from its treasury management activities due to the absence of Sharia-complaint liquidity instruments in the market. Mutallab then called on the Central Bank of Nigeria to support the operation of the non interest banking segment of the banking sector through the provision of shariah complaint financial instruments. His words : “During the year, the bank was able to drive itself to break even; a feat that is highly phenomenal when one considers the fact that there is no platform yet for the bank to make income from its treasury management activities due to the absence of Sharia-compliant liquidity instruments in the market. “We hope that with the emergence of other players and growing interest in Sukuk by sub-national institutions, adequate compliant instruments will be available in the market in no distant time. Also at the meeting , the Managing Director/Chief Executive Officer, Jaiz Bank, Muhammad Islam, while speaking at the event expressed optimism that its application for a national banking license would soon be approved by the CBN. He said the upgrade of its regional license to a national license will enable it operate in all the 36 states of the federation including the Federal Capital Territory. He said when the application, which according to him would be approved any moment from now is expected to position the bank to compete effectively in the banking sector. He said with the return to profitability, the bank would be able to commence the payment of dividend from the 2017 financial period. this is all good, but i don’t see any other central bank creating christian financial instrument. the world of finance and financial instrument is non religion. i don’t think the CBN should be creating any special instrument. very soon there would be special sharia laws.